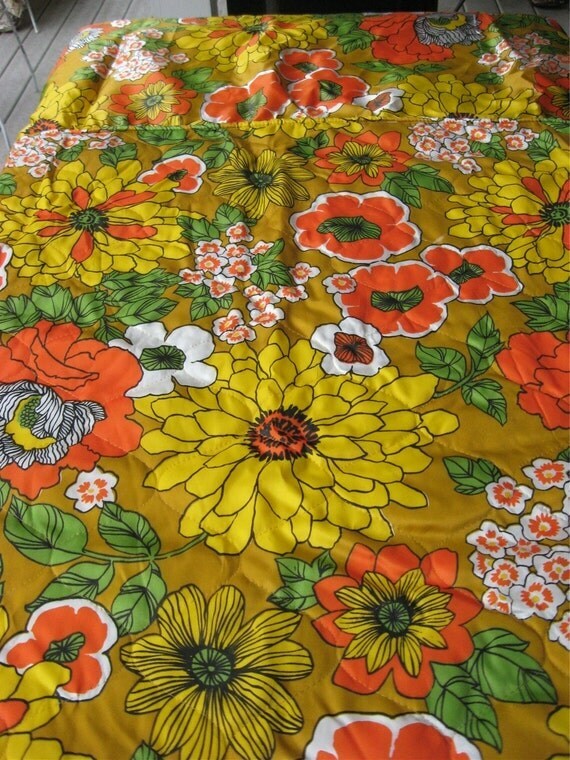 I am totally in love with all of my vintage sheets & my new vintage bedspread. All the colors & patterns remind me of nights slept over at my grandmother's house. 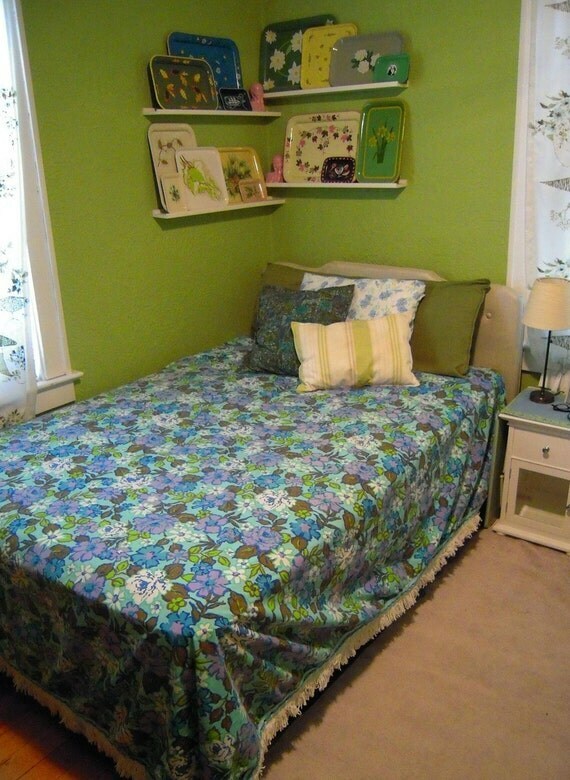 My sister & I shared a bedroom with two twin beds, yellow floral bedspreads, & the cutest floral sheets. 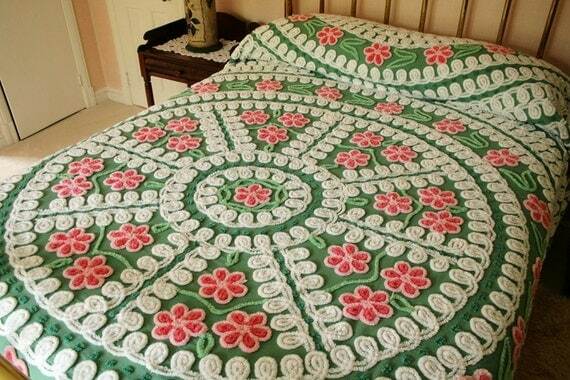 I remember my gramma would have the bedspread tucked up under the pillow & pulled back over so even the pillow was snuggly under the blankets! I'd always use one of my grandpa's undershirts he wore to work as pj's(even after the wash they still smelled like him!) & got to stay up late with them watching tv. I remember one night when the Sixth Sense was on, I'd finally gotten big enough to sleep in the guest room with a full bed, & was laying on my stomach watching it.....like a big girl you know. I got super, super terrified & ran down to my grandparents' freaking out....I don't even remember what scared me so much! This one looks like it belongs in my Grandmother's house..so perfect! Loooove the print & fringe on this one! Such a perfect yellow on this one. Killer colors! 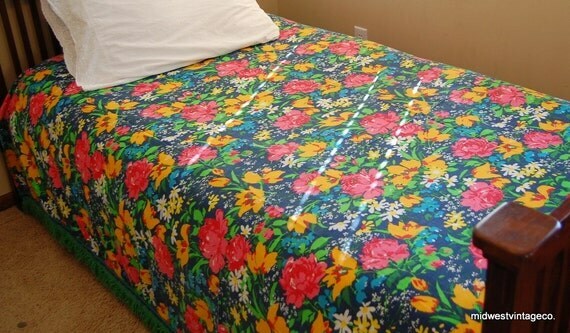 I would change my bedspread like I'd change my sheets...every month...if I had all of these! There are many things that make me weak, linens are one of them! 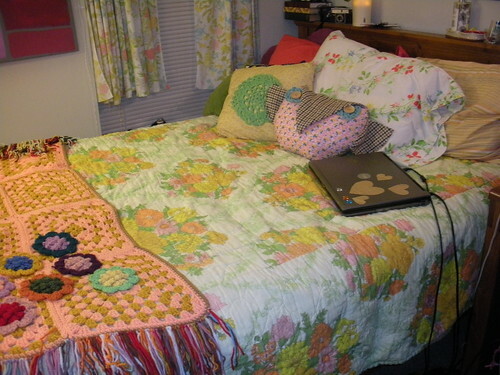 Ohh Ilove the vintage bedding...so pretty!!! This furniture isn't really new to me, It is nice to see new innovative things which makes eyes pleasant. I am totally assuaged by these acumen works. Liked to see more from them so that i can have many things in my home for decorative aspect. We are passionate about college bedding and dedicated to delivering the best customer service. I found a lot of informative stuff in your article. This website has got some really useful info on it! I was looking for this. Thanks for posting.